"Barcelona! Such a beautiful horizon. Barcelona! Like a jewel in the sun." Freddie Mercury and opera singer Montserrat Caballe say it all in the song Barcelona. And no one brings you Barcelona like Monograms! On this vacation, we've arranged your hotel reservations, daily breakfast, and sightseeing. Plus, a one-of-a-kind feature is the Monograms Local Host®, a friendly local who is on hand to answer questions, offer suggestions, and help ensure your vacation is what you want it to be. Your vacation begins when you arrive in Barcelona, where we can pick you up at the airport and take you to your hotel. Your Local Host will greet you with a warm bienvenidos (welcome), help you get settled, and give you a packet of information to familiarize you with the city. The next morning, after an included breakfast, we’ll pick you up at your hotel for guided sightseeing with a local expert. 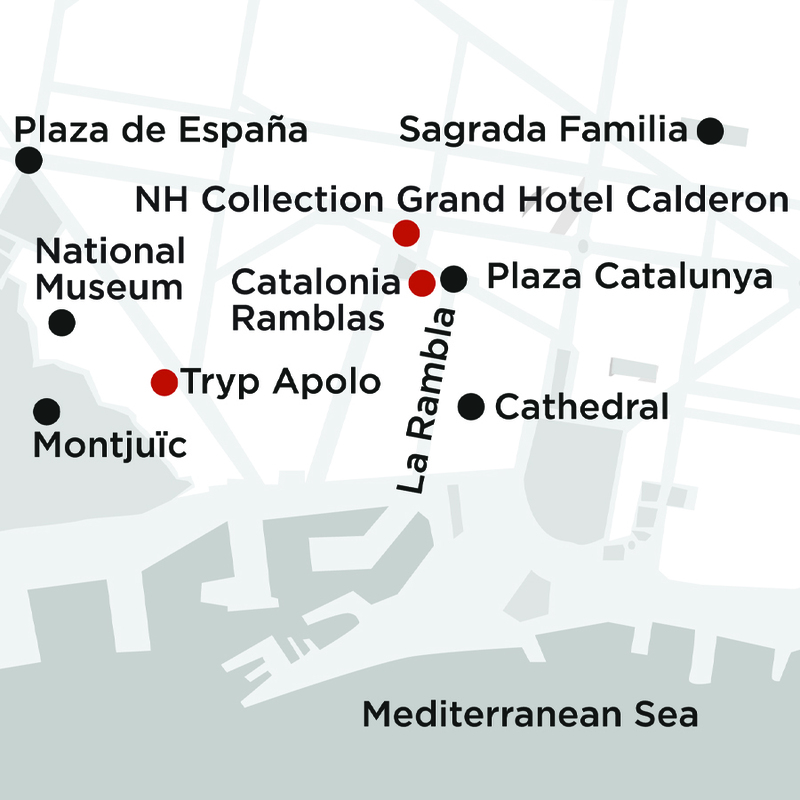 Your sightseeing tour includes inside stories as you drive along Passeig de Grcia, Barcelona’s most famous avenue filled with shops and fascinating architecture. We’ll take you to an inside visit of Gaudi’s Casa Batlló, designed in 1905 and today a UNESCO World Heritage Site. 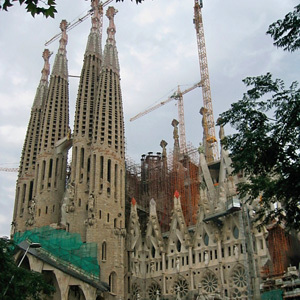 Gaudi was Barcelona's most famous architect, and on your sightseeing tour, we’ll also take you to the Sagrada Familia Basilica. It was begun 130 years ago and still is not completed. Your included entrance fees contribute to its completion. And don't forget... your package includes daily breakfast, so you’ll start each day full of energy to explore this wonderful city. Between that, the sightseeing and guides we've arranged, and the hotel we’ve booked, all you have to do is have fun. Add the comfort of knowing you’ll have a Local Host throughout your stay to help you feel comfortable and at ease in the city, and it's a dream vacation!